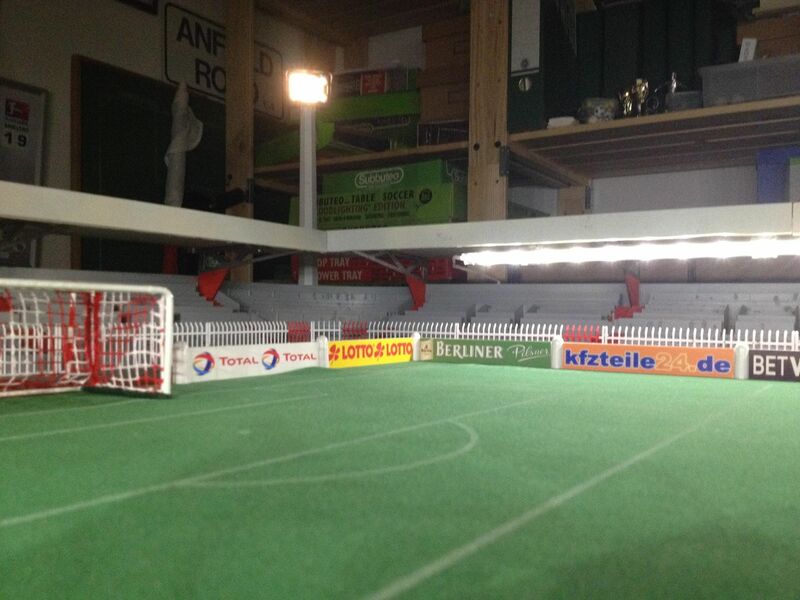 At Subbuteo.Online we love a Subbuteo Stadium and there is now quite a collection on the archives on our site. However, we have never asked anybody for how they have actually created these fantastic designs. Until now. 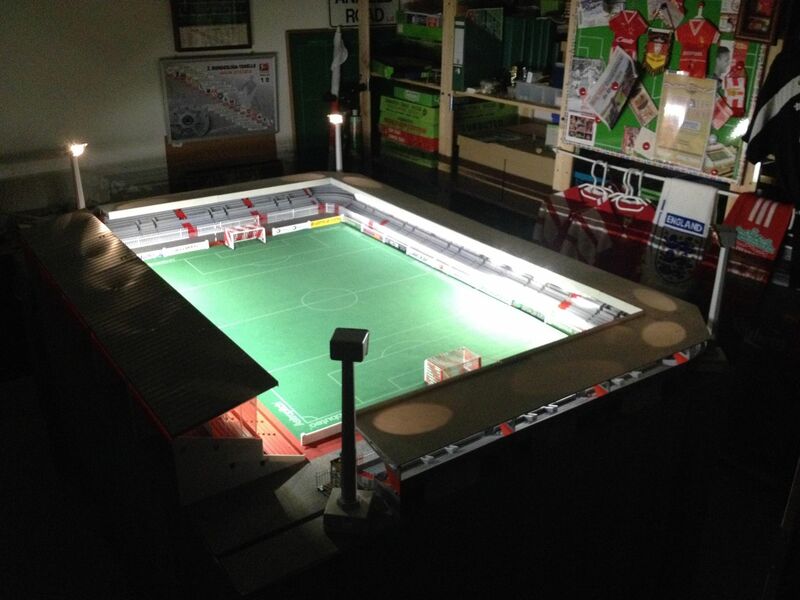 Nico kindly shared pictures of his compact, atmospheric Subbuteo stadium in the Subbuteo Revival Group on Facebook and told us a bit more about the spectacular build. 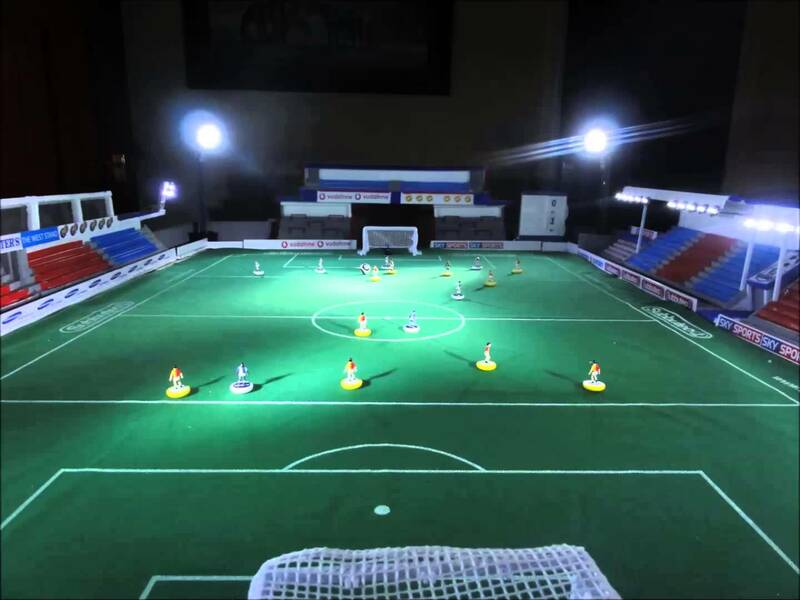 And it looks fantastic, with atmospheric terraces, crowd barriers and even working floodlights giving the stadium an intense feel that crowds around the pitch and looks almost like a photograph of a real-life stadium. 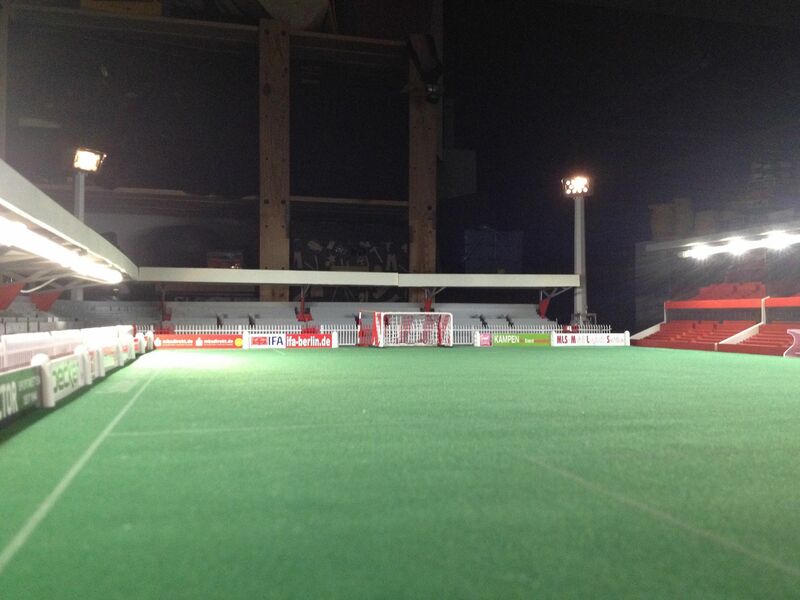 The Main Stand was also self-built but it is in keeping with classic Subbuteo accessories. 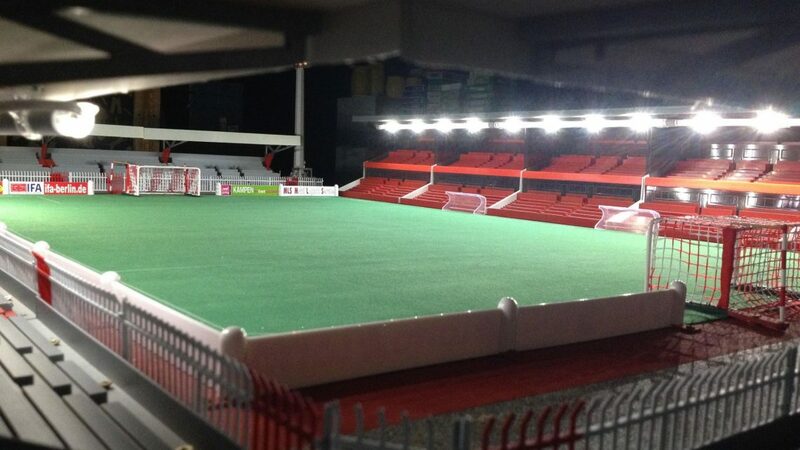 Nico has similar thoughts to us on Subbuteo stadiums. 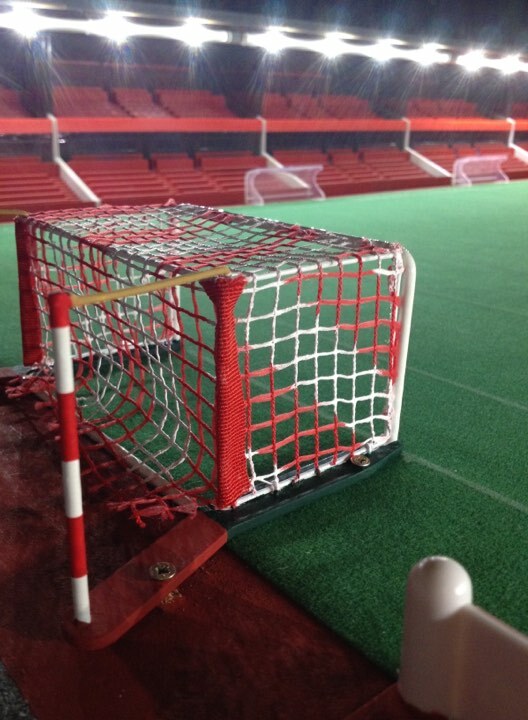 He admits he has been inspired by the weird and wonderful stadiums shared on social media and loves to see the work of others. 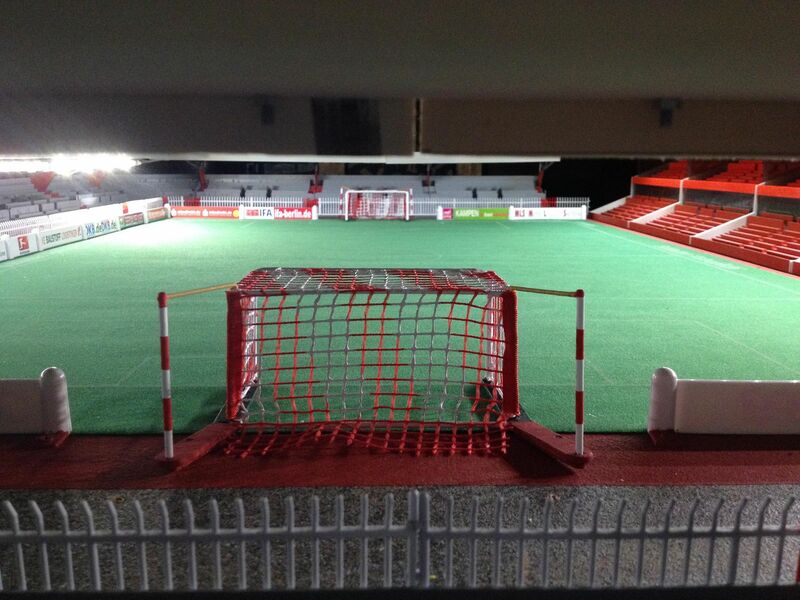 So what next for Nico’s superb stadium?